It has been on my mind lately to write about home remedies for fever. Fever phobia is rampant among the medical community which has now trickled into our homes (source). It seems that at the slightest spike in temperature, the imminent response from both parents and healthcare workers is to reduce it as quickly as possible. I take a different approach in my household towards fevers and place a greater emphasis on supporting the body through infection versus treating the actual fever. 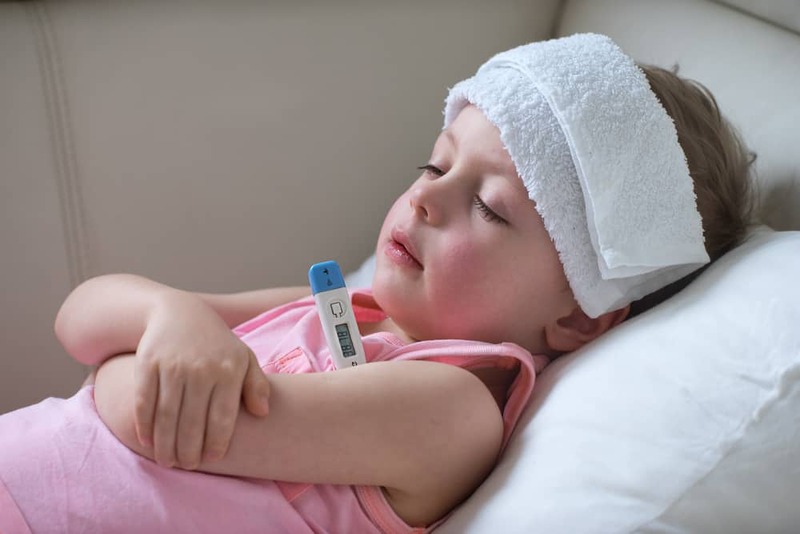 In this post we will further explore why our body produces a fever, common fever symptoms, and how to reduce a fever in a child naturally while still protecting their body’s natural defense mechanism against infection. These suggestions work for adults as well. We earn commissions through our links. Please read the full disclosure for more info. Why do we get a fever? The human body is a very sophisticated machine. It has so many checks and balances in place to keep everything running smoothly. One of the ways our body protects itself against foreign invaders is by producing a fever. Let’s look at this process at a glance. When a virus, bacterial, fungi, or parasite enters our body, special immune cells (macrophages, neutrophils and dendritic cells) recognize their presence with the help of pathogen recognition receptors (PRR). I like to relate this process to the movie 101 Dalmations. Remember the part where all the dogs were barking? The barks travel from dog to dog from the countryside where the puppies are located, all the way to the inner city where Pongo and Perdita responded to the alert and rescued them! Fever has been a normal response long before the invention of antipyretic drugs! How does fever affect our immune cells and pathogens? Fever has numerous beneficial effects on the immune system. It causes our bone marrow to release extra neutrophils. Fever helps neutrophils mature more rapidly and also recruits stagnant neutrophils from body parts where they tend to hide out (such as the soft tissue of the lungs and intestines). What is the downside of fever? This is a fancy way of saying it will take a lot more nutrition to sustain all your body processes. Most moms know how hard it is to get their children to eat healthy foods and drink water on a normal day, let alone when they are sick. There is a serious concern for dehydration due to the increase demand from cells. Should we be treating fevers with antipyretics? All evidence points towards not treating fevers. I wrote an entire post about why we steer clear of Tylenol altogether. So far we have learned that it is best to allow a fever to run its course. That doesn’t change the fact that it is just miserable watching our little ones suffer. And if you are an adult with a fever, it’s a high priority to restore your health and get back to normal life. Any home remedy you use to treat a fever isn’t necessarily to bring it down, but more to support the body so it can quickly destroy the source of the problem. The fever will then come down on it’s own. Here is a list of things to do to relieve pain and support the body during fevers. Epsom salt is perfect to use to reduce the pain from fever. It also helps to replace the lost magnesium from excess sweating. Most people are deficient in magnesium and whenever we have an illness, it is very important to replace lost electrolytes. Epsom salt baths allow magnesium to be absorbed by the body through the skin. They are also very relaxing. Add 2 cups of epsom salt to a bath with some peppermint essential oil. Soak for at least 10 minutes. *Peppermint EO should not be used for children younger than 6 months old. As we have discovered, a fever is a good sign. It is evidence of an intact immune system and we want to continue to support the immune system as naturally as possible. One of the best ways to do this, especially when we don’t feel like eating or drinking much is to get the most bang for our buck with immune boosting supplements. Some of these include elderberry tinctures, cod liver oil, living probiotics, and homemade bone broth. Bone broth is especially essential because it replaces lost fluid volume while providing easy to digest nutrition. In addition to these supplements you will also want to let the sunshine hit your child’s skin if you are lucky enough to have a sunny day. Even a few minutes in the sun can be beneficial during illness. Popsicles are a great way to hydrate a feverish kid. I recommend making them out of real fruit and coconut water to replace vitamins and electrolytes. Here is an easy recipe for nutrition-dense popsicles. We should be avoiding refined sugar in day to day life in general, but this is especially important when we are sick. When you buy store bought popsicles, make sure to look on the label and avoid refined sugars like high fructose corn syrup and chemical dyes. These will not help the body make a speedy recovery. Garlic has super powers when you are sick. It is antibacterial, antifungal, antiviral, antioxidant, and enhances the immune response (source) Get as much of this stuff in your system as possible when you are sick. One of the best ways to do this, especially for kids, is to make a garlic oil salve and apply it to the feet at night and cover with socks. This simply involves taking 7 organic cloves of garlic and combining them in a food processor with 1/4 cup of coconut oil. Slather that salve on your chest and feet whenever you can. It can be pretty stinky so we do this at night or when we are staying home. Herbal teas have been used for their medicinal qualities for centuries. Some of the best herbal remedies for fever reduction include: Spearmint, Yarrow, Catnip, and Elderflower. I like to brew a big pot of hot water and then steep these teas together to make one large batch for sipping on until the fever breaks. Homeopathy is one of the best tools in the mama toolkit for reducing fevers and relieving pain from inflammation. There are a number of remedies you can use dependent on the specific symptoms. Here are a few suggestions but I would also recommend getting a homeopathic materials medica for your home so you can have access to more information and be prepared for any family illness. Aconite: Use when fever first appears if it came on after being exposed to cold and there is shivering/increased thirst present. Ferrum Phos: Use in the beginning stages of fever when it develops more gradually or if Belladonna didn’t work after 3 doses. Nux Vomica: Use for fevers due to overeating, side effects of drugs, or when there is also digestive issues present such as vomiting, diarrhea, constipation, or indigestion. When is a fever a sign of something more serious? If you or your child has the following symptoms, you need to seek professional medical care. You can still administer the correct homeopathic remedy while you are on your way to your provider. 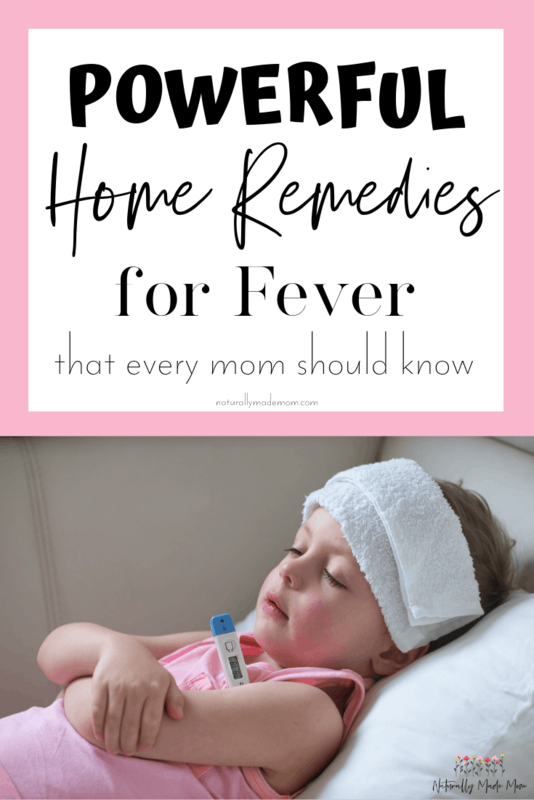 We have listed a lot of different home remedies for fever in this post but how do you know where to start? The single most important thing to do when managing fevers at home is to stay on top of hydration. This key because the number one reason behind complications from fever is dehydration. If you are not able to get bones from organic grass-fed beef, chicken, or wild-caught fish to make your own bone broth, go to the grocery store and get a reputable bone broth brand so you can start consuming bone broth rehydration right away. Find the homeopathic remedy that best suits the current fever picture and administer it right away. Then you can use the other suggestions throughout the day to support the body’s immune system in eliminating the invader which caused this mess in the first place. Are you a green and crunchy mama? Let's connect! 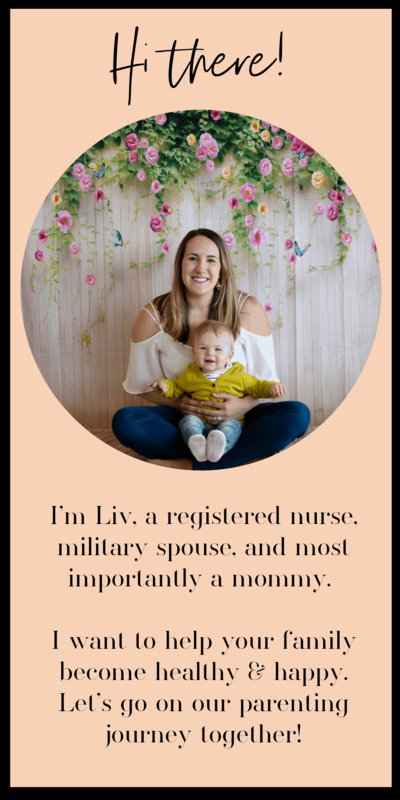 By subscribing to this newsletter you will receive all my best mom-nursing information first. Wow! This is such great information! I already knew fevers are good and I always compared reducing fevers as shooting your troops in the foot before sending them to battle… but I had no idea just how much was involved when the body has a fever! Our bodies are so amazing! And thank you for sharing all of the great remedies. We do many of the same things, but I have not learned too much about homeopathy yet, but I hope to learn more soon. I also plan to make homemade popsicles! These are all so helpful! I don’t know much about homeopathy, but now I want to try some of those the next time we deal with a toddler fever. Homeopathy is a form of medicine that’s been around for 2 centuries that works by giving your body a very diluted form of something that causes the same symptoms you are experiencing. For example, for watery itchy eyes, you take Allium Cepa (latin word for onion) because taking the diluted version of it triggers your body to heal. It’s hard to wrap your head around especially if you grew up using conventional medicine but it is powerful stuff and has no side effects.